It should have been an easy mission: employ any means to get the American woman out of the war-torn Central American country -- and tell her nothing. But Blair Morgan was beautiful, and for all his professionalism, special agent Craig Taylor found himself falling for her.Since the assassination of her beloved husband, Blair had been afraid to risk her heart again. Then she met Craig. Brave, generous, physically compelling, he was everything she wanted in a man, and their passionate nights together melted her defenses. Until the order arrived and Blair became Craig's hostage. Suddenly a pawn in a terrorist's political game, Blair struggled to forgive her abductor -- the man to whom she had given her soul. And soon, their journey through a jungle filled with dangerous rebels became a battle of wills between a man of honor and a woman of pride, as they fought to find the shattered remains of a love that left them both longing for more. 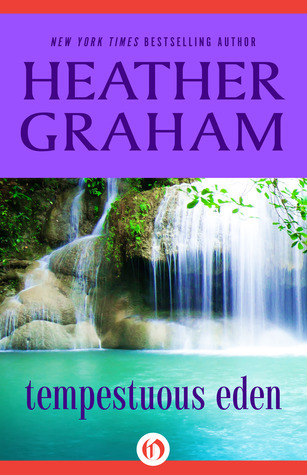 I loved reading this book by Heather. I own just about everything she has written and when I heard they were re-issuing her older books and needed reviews?? I was all over it. Ok I have to say it's so funny to read books from only 10-15 years ago and realize how far we have come as a people, from health changes to communication. One of the reasons you can tell this is an older book is because of the inclusion of smoking, not that smoking doesn't happen but most romances now a days don't include it unless there is someone giving a lecture to a friend or spouse about it. So it was both unique and great. Going in I only knew it was by Heather, so I had no real idea what the book was about. I was however pleasantly surprised, and of course loved it. It had it's moments that made me look at the e-reader like wait what, then I remembered that this was before easy access to cellphones and then again in the middle of the jungle doesn't help you get reception too well anyway. I loved how he worked and even how the assignment came to him. I loved his inner monologue, especially after he realizes how his feelings on Blair have changed. Craig was a great character, I loved that he wanted to complete the mission but when he met Blair had to re-evaluate the way he went about it. I really loved Blair, she had her really stubborn moments but she was actually a really good soul. I mean how many people would have taken the tragedy and made it into something good like she did when she didn't have to?? She was trying her best with a bad situation and although I hated that people didn't trust her to do the sane thing and tried to manage her without her knowledge I believe she handled the fallout well. That moment on the ship though?? Yeah I'm not sure I would have been able to handle it so gracefully. I totally get why it had to happen that way, but man how you grow up in the epicenter of it and be so clueless as to exactly powerful your dad is?? Or how much danger he daces?? (But then again I watch Scandal and Olivia had no idea y'all no idea). So I guess it's plausible. Even with naivete Blair was a fun characters, she was a whole lot stronger than she thought and certainly didn't allow him to run all over her the way he wanted. I loved that Blair was making him work for her love, and although she loved him she wasn't willing to let him compromise on his dreams. They were an extremely fun couple to read and I liked that they fought, made up and challenged each other in the end.